Architects Frank Darling and John Pearson designed the Bank of Montreal Bank on the northeast corner of Queen and Yonge Streets. Architects Frank Darling and John Pearson designed the Bank of Montreal Bank on the northeast corner of Queen and Yonge Streets. 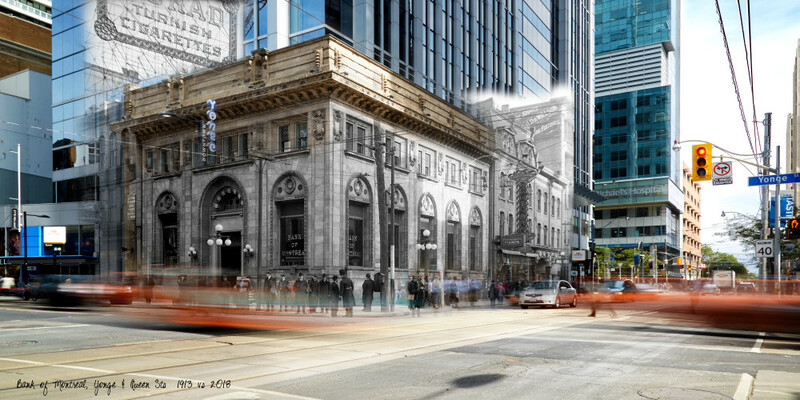 Built 1910, the bank was situated on an ideal corner close to Toronto’s two largest retailers, Eaton’s and Simpson’s.